Reading, in the not-so-distant past, was a right and privilege limited to royalty, the wealthy, or religious clerics. Books were rare and expensive. But fast-forward a couple of thousand years and, thankfully, the printed word is all around us. Availability isn’t the problem nowadays, and yet, because of reading challenges, hundreds of thousands can’t read well or read with meaningful comprehension. Tragically, a staggering 66% of students fail to reach grade proficiency in reading by the 4th grade. This is tragic because reading is not just a recreational pastime. After we learn to read, for the rest of our lives, we must be able to read well to learn. As I’ve discussed before in this blog, our brains are hard-wired for speech, but not for literacy, so learning to read and write means cracking the code that links meaningless (at first) squiggles on a page to the familiar spoken word. The printed word proves to be quite a challenge for many children, especially those who have dyslexia or are at risk for other reading difficulties. The reality of the situation is that the methods used to teach reading haven’t kept pace with the research and the diversity of learning differences. 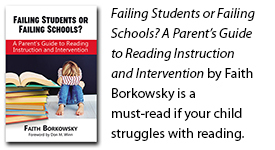 While many students will become adequate readers regardless of the method of instruction, over 50% of students require explicit, multi-sensory reading instruction. Teachers that have training in methods offered by The Academy of Orton-Gillingham Practitioners and Educators, Wilson Language Training, the International Multisensory Structured Language Education Council, (IMSLEC), and the Academic Language Therapy Association (ALTA) have the skills to teach all students how to read. I recently interviewed Sinclair Sherrill on my CBA Radio Show who, along with Sebastian Scripps, founded start-up Boon Philanthropy to provide free training with the organizations above. Sinclair has had a long association with the Stern Center for Language and Learning in Williston, Vermont, and was joined by Peggy Price, who leads their Orton-Gillingham Institute, where she teaches graduate courses and supervises teachers working toward Orton-Gillingham certification. In that interview, Peggy did a first-rate job describing the training. Don: What is explicit, multisensory literacy instruction, and how is this method different from traditional teaching methods? Can you describe the Orton-Gillingham Approach? Peggy: Explicit instruction means the teacher never assumes a student will know how to read or write a word without being taught the structure of the word and how this fits into the greater framework of the English language. There is sequential order to what is taught based on what is more common and predictable in the English language to less common and predictable. Multisensory literacy refers to the following acronym: VAKT. V- visual, A- auditory, K- kinesthetic, and T-tactile. We often think of reading as a visual task, but simultaneously utilizing multiple sensory modalities strengthens letter-correspondence, memory, and one’s ability to read, spell, and write. Initially developed by Dr. Samuel Orton and Anna Gillingham, multisensory instruction is the hallmark of OG. In more traditional classrooms, literacy instruction may begin with teaching the letters of the alphabet and the sounds of the alphabet with varying degrees of sound accuracy. Teachers will read aloud to students from a variety of children’s literature and expose them to letters and sight words with the hope that children will learn to read and write through osmosis. There is little to no explicit instruction about the sounds or structure in our language that govern the spelling patterns and sentence structure. A classroom that utilizes multisensory instruction or an OG Approach will look very different. Children are still exposed to rich literature, but they are also taught systematically through guided exploration and the Socratic method of questioning how sounds are articulated in the mouth to provide greater kinesthetic feedback when learning letter-sound correspondence. In addition to being taught how letter-sounds are produced, reading and spelling are taught simultaneously because learning how to automatically and legibly form letters strengthens a student’s ability to read and spell. Students will be shown letter “d” and will trace the letter on a textured surface, such as a salt-tray, while stating the letter-name, key word, and sound. In this one example, students are seeing a visual symbol, a letter, but are integrating multiple modalities: auditory- stating the letter-name and sound, kinesthetic- they are feeling what their mouth is doing when they make this sound (tongue tapping the roof of their mouth and vocal cords vibrating), and tactile- act of handwriting. This is one small example of how OG is multisensory literacy instruction. What I want to emphasize is that while our English language may appear somewhat irregular, in fact, over 90% of our language is quite predictable if we understand the structure and rules within our language AND how to teach it in a simple, concrete, easy-to-understand approach. OG is based upon the idea that children should not be taught to memorize word lists for a spelling test, but be given critical thinking skills to think about language. We are teaching to our students’ intellect. This is not about rote memorization or kill and drill. The reason OG is called an approach, and not a program, is that OG is flexible based on students’ needs. Any skilled teacher needs to know how to adapt to the needs of his or her students beyond what is contained in any one program. Good teachers don’t try to fit students into a preset program; they use materials from a program to fit a student. A key principle of the OG approach is the idea of diagnostic and prescriptive instruction. A skilled teacher takes data on the students’ performance in Monday’s lesson and analyzes the students’ errors to plan Tuesday’s lesson. When students are taught in such a manner it leads to student mastery and improved self-confidence. If the ultimate goal of reading is comprehension and novel thought, we must ensure students can read effortlessly so that their mental energies can be spent on comprehension and are not bogged down with sounding out a word, or even worse, skipping or guessing words. Don: How effective is explicit, multisensory literacy instruction for kids with learning differences? Peggy: Multisensory literacy instruction is the gold standard for remediating learning differences. This approach was originally designed for students with dyslexia or reading disabilities. It works because this type of instruction teaches to the student’s strength, his or her intelligence instead of rote memorization. Through the diagnostic and prescriptive instruction I mentioned earlier, students are taught to mastery utilizing VAKT modalities. Multisensory literacy instruction will benefit all students regardless of whether some have learning differences and some do not. Don: What about older kids (or even adults) that are past the ideal age for learning to read: can they still benefit from explicit, multisensory literacy instruction? Peggy: It is NEVER too late to improve your reading and writing skills. The oldest student I ever taught was 44-years-old. He began tutoring as functionally illiterate and through his tenacity and OG instruction he learned how to read and spell multisyllabic words. He began use text messaging and enrolled in an adult computer class, two things he hadn’t felt confident enough to attempt previously. Our brain remains plastic throughout our lifespan, but the older a child becomes, the greater the gap between his low literacy rate and his peers’ growing literacy rate. Not only do we need to work on closing this gap to bring an older student up to grade level, but that student has also missed out on years of being exposed to rich vocabulary, sentence structure, and content knowledge from books. The amount of resources necessary to close the gap drastically increases the older a student becomes. Both common sense and the research clearly indicate the earlier we can intervene, the better. Early childhood educators who work with babies and young children before they enter school are in a unique situation to mold young brains so children can enter kindergarten prepared for success. Kindergarten and elementary school teachers are the gatekeepers who can teach effectively teach children how to read, if they are given the knowledge and tools of effective, evidenced-based instruction. There will always be children who struggle with reading and writing who will benefit from individualized instruction, but we can drastically lower the statistics of illiteracy and provide earlier intervention if all teachers are provided with in-depth literacy training. Parents, I encourage all of you to continue reading aloud to your children even if they are already readers and actively discuss the books you read. I also encourage you not to shy away from more advanced vocabulary with your children, regardless of age. Just as your toddler may have easily picked up terms like excavator, backhoe, and triceratops, they can also learn words such as scowl and smirk, cautious and reckless, by hearing you add them into your own vocabulary. Don: Would you tell us a little bit about Orton-Gillingham and your role at the Stern Center for Language and Learning? Peggy: Located in Williston, Vermont, the Stern Center for Language and Learning is a nonprofit educational center dedicated to helping children and adults reach their full potential. Through high-quality direct service, professional learning, and research, we are committed to enriching the lives of learners because all great minds don’t think alike! Now in its 34th year, the Stern Center’s professional learning department is involved with teacher training at the local and national level by providing practical, evidenced-based coursework on language and literacy development. In 2010 the Stern Center created an Orton-Gillingham Institute, accredited by the Academy of Orton-Gillingham Practitioners and Educators. The Orton-Gillingham Approach is the foundation of explicit multisensory literacy instruction. Orton-Gillingham or OG was developed by Dr. Samuel Orton, Anna Gillingham, and Bessie Stillman in the 1930s as a structured, systematic, and multi-sensory approach to teach reading, spelling, and writing to children with dyslexia. As the field of neuroscience and educational research has grown, it is clear that all students benefit from this type of multi-sensory instruction. As director of the Stern Center’s Orton-Gillingham Institute, I provide a variety of coursework and yearlong practicum opportunities for teachers with five additional OG Fellows, who are experts in the OG approach. Teachers who successfully complete OG coursework and practicum are eligible for OG certification through the Academy of Orton-Gillingham Practitioners and Educators. Don: Where can people learn more about your work at the Stern Center for Language and Learning and how can they provide support for training teachers in explicit, multisensory literacy instruction? Peggy: Check out the Stern Center’s website to learn more about our Orton-Gillingham offerings. If you work with babies and children from birth to age five, check out our professional learning program, BUILDING BLOCKS FOR LITERACY®, which is currently being developed into an online three-credit course as well as our other professional learning courses and webinars. You don’t need to live in Vermont to learn from the Stern Center’s expert staff. Also, check out Boon Philanthropy for how you can help support training for teachers in explicit, multisensory literacy instruction. Boon’s mission is to raise funds and make grants every year to explicit, multisensory literacy training in perpetuity (forever) because the need is always going to be there. About Peggy Price: Peggy is a Fellow at the Academy of Orton-Gillingham Practitioners and Educators. She runs the Stern Center for Language and Learning’s Orton-Gillingham Institute, where she teaches graduate courses and supervises teachers working toward Orton-Gillingham certification. Peggy also teaches Building Blocks for Literacy, a research-based, play-based professional learning program for early childhood educators. Peggy has a master’s degree in special education from Georgia State University and a bachelor’s degree in psychology from Binghamton University. Beautifully written, such a thorough presentation in a blog.